Model T Ford Forum: Fordor windshield help. Model T Ford Forum: Forum 2012: Fordor windshield help. Most of the wood is in the body and the doors were hung with the help of my boys home from college. Was placing the lower windshield frame in place and it appears there is some sort of spacer between the windshield frame and the body sheet metal. Could someone help me out here? I replaced the glass in my '27 Fordor, but that was about 40 some years ago and my memory is a bit hazy on it. As I remember, between the lower windshield frame and the body structure there was something like fender welting. Not the same, but similar. You might contact Garry Potter in Canada. He just finished a prize winning restoration on his Fordor in the last 2 or 3 years. This is a Canadian car I got as a basket case, windshield frame apart. There is shiny paint where the two should. Join, but there seems to be a 1/2 inch gap. The rest of the frame seems to fit with this gap maintained. Dale, between the dash and cowl on both the fordors I've worked on was a wood strip. Mine was about 3/16" thick and on Ed's car it was 1/4" thick. 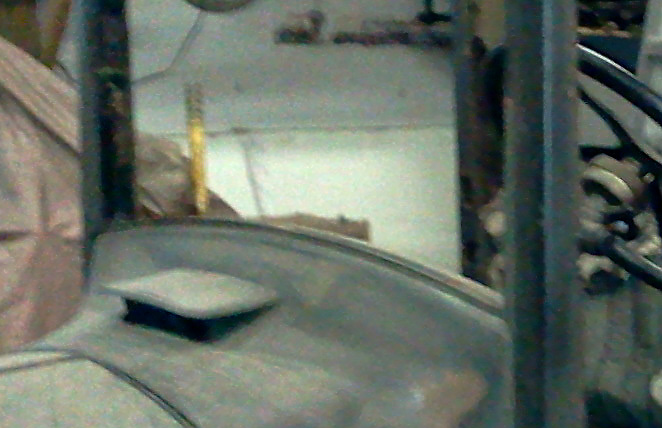 Also a rubber seal sits between the lower windshield frame and runs down the pillars and across the dash. It is a "dumbbell" shaped seal maybe a 1/8" thick. Both these cars are 1927's. Also, the pillars have the trim pieces that fit before the frame can be mounted. I have to assume this was done to adjust the gap on the upper and lower glass. I used it for that purpose anyway. Don, thank you, that was the info I needed. You are very welcome Dale, I have two Fordors to get references from presently. So, if you need anything just holler.